The best way to enjoy Metaxa is neat. That’s how a good brandy should be enjoyed and Metaxa is no different. But this is not a hugely expensive single malt whiskey, so it’s okay to bend the rules and have a little fun with cocktails. There are also more flavors here to experiment with than your average brandy, so there is a lot more potential for great cocktails. Here are a few of my favorite Metaxa cocktails. 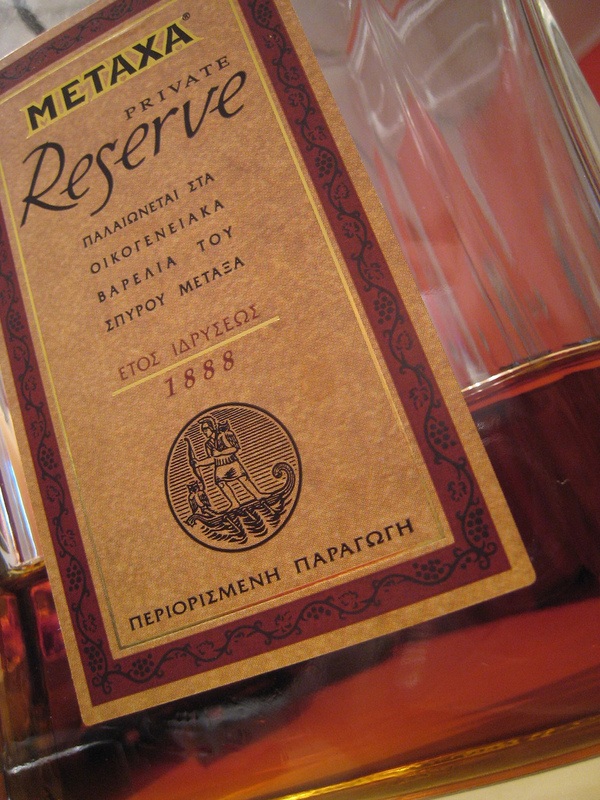 You can use any Metaxa varieties you want, but I find that it’s best to stick with the cheaper 3 and 5 varieties, saving the 7, 12 and Private Reserve stuff for those cold-nights-in when you need something straight-up, warm and cozy. If you are a fan of the whiskey sour then this drink may appeal to you. It has a subtler sweetness and it is combined with a tartness that will draw your lips back over your teeth. A great pick-me up. To make the Sweet and Sour Metaxa, just take a couple tablespoons of chopped fresh ginger to half a fluid ounce of lemon juice and 2 teaspoons of sugar syrup (dissolve 2 teaspoons of granulated sugar in a small amount of warm water if preferred) and shake before serving over ice. You can garnish with a slice of lemon, but there should be enough of a citrus tang as it is. Dark spirits like brandy, whiskey and golden rum go great with a little heat and a lot of honey and Metaxa is just no exception. Just add a splash of Metaxa to two parts water in a pan, drip in some honey, stir and serve when it’s warm. Any honey is good, but Greek Thyme honey works really well, as does Orange Blossom honey, which adds the sweetness along with a slight citrus tang. You can also add a slice of lemon to get a stong hit of citrus and to create the ultimate soothing winter drink. It’s time to get the juices out because this is a big, sweet and punchy drink. Take 2 parts Metaxa to 1 part cranberry juice, 1 part cointreau and 1 part Chambord, and then add a splash of lime or lemon juice. Bring it all together in a shaker and then serve. Citrus flavors work really well with Metaxa, which is why they feature in all of the above cocktails. For this one, it’s time to go all-out and bring those many flavors together. So, make 2 parts Metaxa and add the same in freshly squeezed orange juice, half that amount in lime juice, a squeeze of grapefruit juice, a teaspoon of orange and lemon zest, and liquid sugar to taste (typically 1 part sugar to every 2 parts Metaxa you added works best). Finish it off with a good shake and there you have it. There are also similar recipes out there that all for the use of chocolate shavings, typically a bitter chocolate powder as opposed to milk or white chocolate. This enhances the flavor a little, but may be overly bitter in combination with all of that citrus.